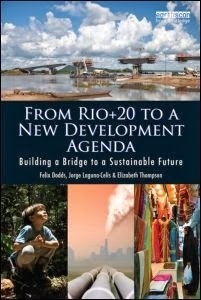 I had the absolute pleasure working with Liz Thompson and Jorge Laguna Celis on a new book 'From Rio+20 to a New Development Agenda: Building a Bridge to a Sustainable Future' (out January 31st 2014). The book looks at the preparations for Rio+20 through a government official (Jorge – Mexico), a leading UN civil servant (Liz – Assistant UN Secretary General and an Executive Coordinator for Rio+20) and myself the Executive Director of Stakeholder Forum. For me it was a new way of writing where we each took a third of the book and then spent a weekend at the Mexican Mission weaving into each other's sections our perspectives and putting it together into what we hope is a coherent and interesting and insightful book. This is the tenth book I have had the chance to work on and as such it has offered me a chance to reflect a little. The first book I completed after my two years as National Chair of the UK Liberal Parties youth wing was called 'Into the Twenty-First Century – An Agenda for Political Realignment'. It contained chapters by leading members of the Liberal, Labour and Green parties in the UK and the wonderful German Green Petra Kelly who died under such sad and strange circumstances. The book argued that by working across party boundaries on green issues that those issues would be more effectively addressed. 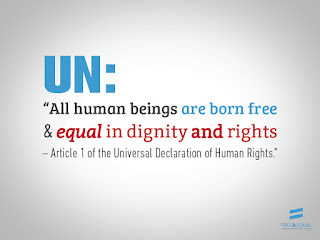 To some extent it underlines my approach to working at the UN. I have tried to work with governments and the UN to find ways that build trust and move forward agendas and remind governments to fulfill the commitments they make. I have had the absolute pleasure of working with amazing people over the last twenty years and seen their commitment to trying to help us move onto a more sustainable path. The barriers can be seem huge at times and we all work in an area, that as of yet, does not have the political will to address the underlying problems that we face. This brings me back to the book. From Rio+20 to a New Development Agenda shows how in the depth of the largest recession since the 1930s slowly with leadership predominately from developing countries a new narrative on sustainable development emerged and ultimately challenged successfully the old development paradigm. It also looks at how the institutions were looked at and processes to reform UNEP and CSD were put in motion. Much of this the press at the time did not understand and the reporting of Rio+20 gave an impression of a conference that had not achieved much compared to the 1992 Earth Summit. 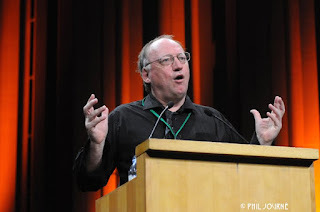 "This is the ultimate 'insider's guide' to the Rio+20 process, taking the reader from the preliminary discussions back in 2007 all the way through the conference itself and into the future. 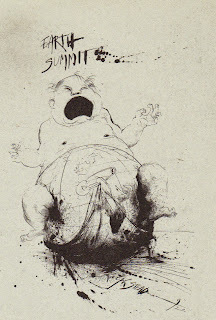 In tabloid terminology, Felix Dodds, Jorge Laguna Celis and Liz Thompson give us 'the thrills, the spills, the personalities and power-plays' that shaped the summit and its diverse outcome. Whether you regard the outcome as primarily a missed opportunity due to its fundamental incompatibility with respect for planetary boundaries and its failure to match President Lula's pre-conference vision of an event that would lead to 'a new and more balanced distribution of wealth' in the world, as I continue to do, or whether you share the authors' optimism regarding the re-moulding of international institutions and the voluntary commitments secured in Rio, this book will give you a deeper and broader understanding of why Rio reached the outcomes it did. And as it makes clear, there is still much to play for, particularly in regard of the sustainable development goals, which could yet provide impetus for a global move towards the future we both want and need." I have two book projects on my table for 2014.One goes back to the environmental security agenda that I have addressed in three previous books and the other is a more fun book that has been on my table for a few years but so far without a book contract – 'Chocolate and Climate Change' . Let's see which one goes to printJ. 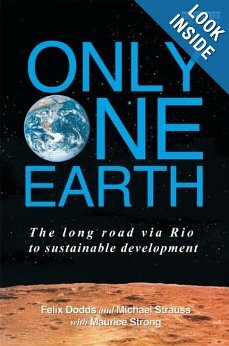 Only One Earth; The Long Road via Rio to Sustainable Development written by Felix Dodds and Michael Strauss with Maurice Strong is a companion book to From Rio+20 to a New Development Agenda.